Toshiba e-STUDIO 5506AC Photocopier - Photocopiers for sale and to lease from UK Photocopiers Direct : Sharp UTAX Toshiba ALL Models. Contact us now for best prices and service. Toshiba e-STUDIO 5506AC Photocopier – Technology for every office, delivering advanced functionality, ease of use and peace of mind. Every industry has unique workflow needs. Toshiba has developed customisable MFPs to improve your work processes. Intuitive and smartly integrated, our products simplify complex tasks through customisable quick access icons and give you control while providing the reliability Toshiba is known for. Sleeker, faster, and more versatile than ever. Toshiba’s high-end A3 colour 5506ac is as impressive on the outside as it is on the inside. 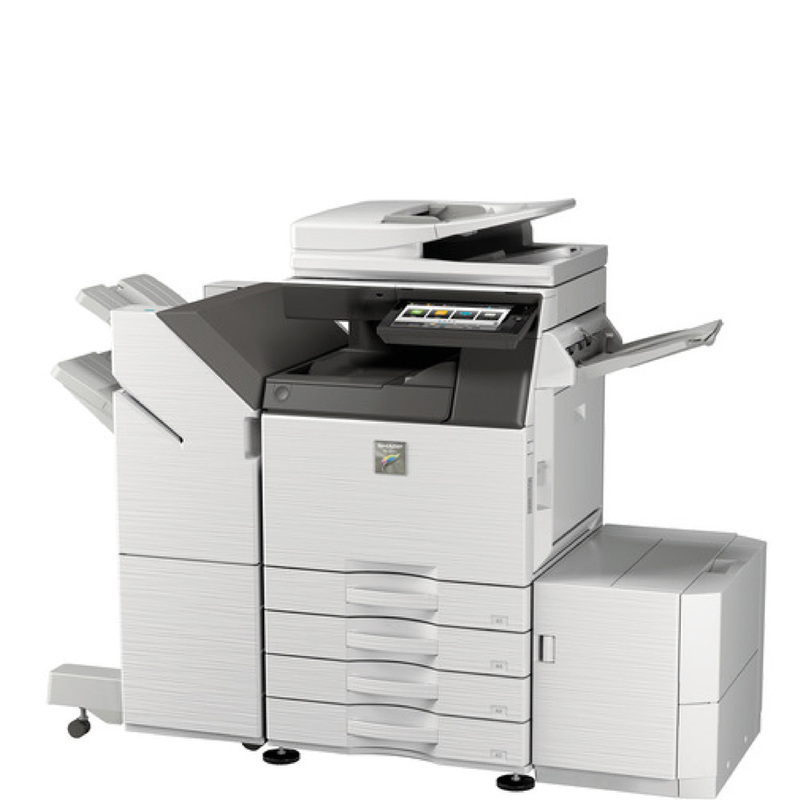 Its ultra-modern look houses the latest innovative technology, delivering brilliant quality documents at speeds of up to 55 pages per minute (ppm) in colour and 65 ppm in monochrome. 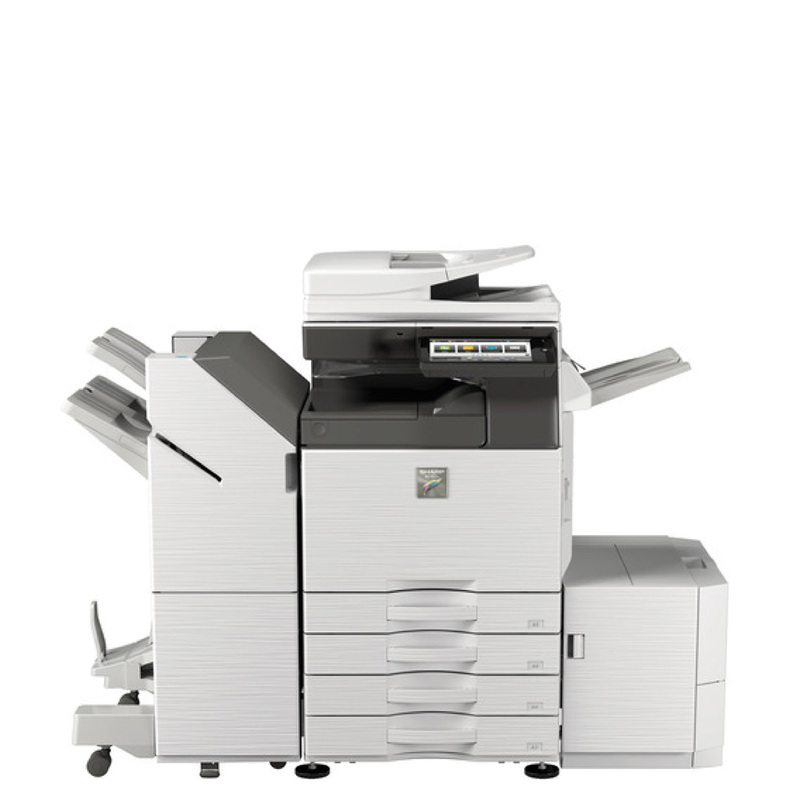 Toshiba e-STUDIO 5506AC Photocopier – It’s Dual Scan Document Feeder is a 300-sheet capacity, high-speed document feeder that seamlessly scans both sides of each page in a single pass with speeds of up to 240 images per minute.